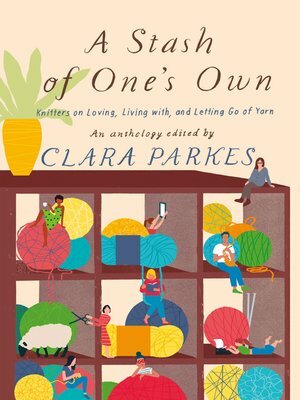 From New York Times bestselling knitting writer Clara Parkes, comes a new collection of essays and stories drawn from the yarn-loving, stash-collecting, close-knit community of knitters. alongside offerings from knitting greats Amy Herzog, Stephanie Pearl-McPhee, and Franklin Habit—plus, stories from a romance novelist, an illustrator, a PhD-wielding feminist publisher, a globetrotting textile artist, a licensed clinical social worker, and the people behind the world's largest collective online stash, Ravelry.com. The pieces range from comical to earnest, lighthearted to deeply philosophical as each seeks to answer the question of how the stash a knitter has accumulated over the years reflects his or her place in universe. The stories in A Stash of One's Own represent and provide validation for knitters' wildly varying perspectives on yarn, from holding zero stash, to stash-busting, to stockpiling masses of it—and even including it in estate plans. These tales are for all fiber artists, spinners, dyers, crafters, crocheters, sheep farmers, shop owners, beginning knitters to yarn experts, and everyone who has ever loved a skein too hard to let it go.